Tuberculosis is a serious lung disease that shouldn’t be taken lightly. It used to be pretty hard to get life insurance coverage if you had tuberculosis. However, with the advancement of medical care, the prognosis for tuberculosis patients is much brighter. As a result, finding a company that will offer life insurance after tuberculosis is easier today than it used to be. Tuberculosis is an airborne lung disease that leads to lung infection. Sometimes, a person can have tuberculosis without having any symptoms or signs of infection. This is called latent tuberculosis. Nowadays, it is not that common of a disease in the United States, however, it is still very common in many developing countries. If you have tuberculosis and want life insurance, then we have good news for you: it’s very possible for a TB patient to get life insurance. Just like with any disease or ailment, a life insurance company will look over a lot of information prior to underwriting your life insurance policy. Tuberculosis is considered a pre-existing medical condition. As a result, an underwriter will look more intently into your medical history. 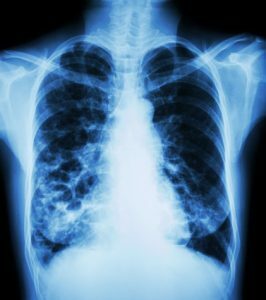 Date of diagnosis – Life insurance companies want to know when you were first diagnosed with tuberculosis. This helps them to understand the way the disease has manifested, and to see your overall health during that time. Since tuberculosis is a curable disease, if you had it a long time ago and were cured, then this is better for your life insurance premium. Relapse information – Sometimes a person has tuberculosis more than once. Usually, this is because some of the bacteria has not been killed with the drugs the first time around. Life insurance companies want to know if you have had tuberculosis symptoms more than once. They will also ask you the date of all your tuberculosis diagnoses. Recurrence of tuberculosis may make it harder to qualify and you may be considered “high risk life insurance“. Hospitalization history – Life insurance companies always want comprehensive information about your hospital stays, surgeries, and other procedures. This also applies to all incidents related to your tuberculosis diagnosis. Cigarette smoking – Smoking always makes life insurance premiums higher, but in the case of a tuberculosis patient, it can even disqualify you from life insurance. Quitting smoking is always a good idea! Pulmonary function tests – A life insurance company may ask to see your pulmonary function test results so they have a better idea as to how your lungs are functioning. If you have not had a pulmonary function test, then they may require you to get one done. In addition to this, a life insurance company will likely ask you about any other health problems and concerns. This is fairly standard any time you want to get a life insurance policy underwritten. Tuberculosis is a manageable and even curable disease. For this reason, it not longer blacklists people from life insurance policies. Many life insurance companies will insure people who have had tuberculosis in the past. Will the premiums be higher than if you had not had tuberculosis? Possibly, but it’s not the end of the world. If you are rejected a life insurance policy because of your history of tuberculosis, then you can consider getting a guaranteed life insurance policy. How do I know which life insurance companies will insure me? TermLife2Go is a life insurance agency. We provide a reliable way for people with complicated medical histories to find the best life insurance possible. We do not work with just one life insurance company: we work with dozens! We have a vast knowledge of the life insurance products available, and who will qualify for what. If you have tuberculosis or have had it in the past, then we will be able to work with you to find the life insurance company that can offer you the best coverage in the best price. Do you want to know more about your life insurance options with a history of tuberculosis? If so, call TermLife2Go today for a free consultation.